President Donald Trump may have been the one delivering the 2019 State of the Union address, but congresswomen made sure that they sent a message of their own. Some, like Representative Alexandria Ocasio-Cortez, made a point through the guests they brought, and most congresswomen wore white in a nod to the suffragette movement. 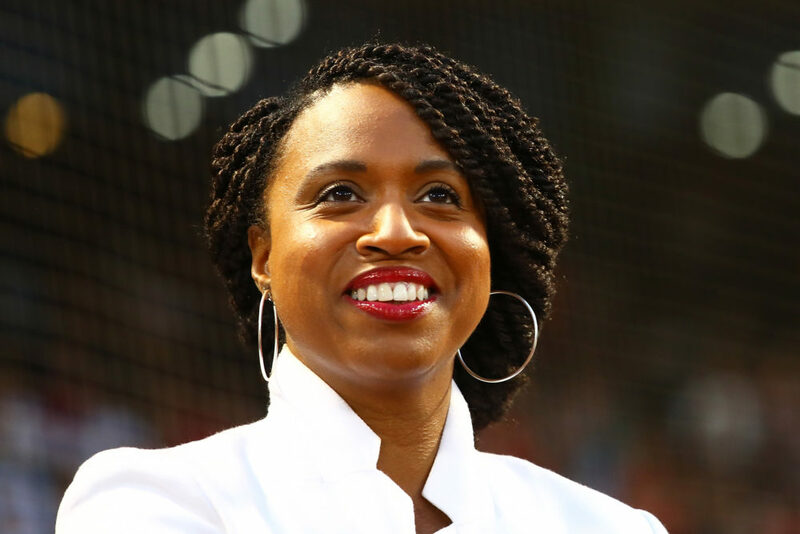 But Massachusetts Representative Ayanna Pressley‘s outfit didn’t only commemorate those who fought for a woman’s right to vote—it also paid tribute to the black leaders forgotten by the suffragettes. In a February 5th tweet posted shortly before the address began, Pressley shared two pictures of herself. In one, she wore a white coat and carried a clutch made from kente cloth. In the second, she wore a purple T-shirt printed with the names of several black women who fought for black rights, like Ida B. Wells, Harriet Tubman, and Sojourner Truth. According to CNN, the House Democratic Women’s Working Group encouraged women in Congress to wear white to the address to signify their support for women across the country. “Wearing suffragette white is a respectful message of solidarity with women across the country, and a declaration that we will not go back on our hard-earned rights,” Representative Lois Frankel, the chair of the committee, told CNN. But as Pressley wrote in her tweet, the suffragette movement often ignored black women and at times even endorsed the oppression of black Americans. As Bust magazine points out, black women were entirely left out of the Seneca Falls convention, and many prominent suffragettes like Susan B. Anthony opposed the 15th Amendment, which made it illegal for black men to be denied the right to vote. Pressley’s SOTU outfit was the perfect intersectional tribute, paying homage to leaders who fought for women, while also acknowledging the racism present in the movement. It’s important to continue fighting for equality for all people, and we applaud Pressley for sending this message. The post This congresswoman made a critical point about white feminism with her SOTU wardrobe choice appeared first on HelloGiggles.